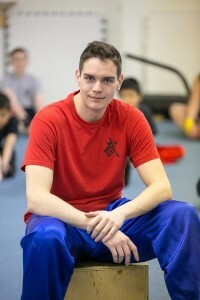 Born in Regina, Chris Brabant attended the Progressive Wushu Centre before joining the Chinese Martial Arts Academy in 2012. As a coach, Chris thrives off the satisfaction of witnessing a student grasp a difficult concept. Competitively, Chris has achieved bronze medals in hand and weapon forms at provincial competitions. Outside of wushu, Chris holds a Bachelor of Arts in psychology from the University of Saskatchewan, advocates for mental health with the Canadian Mental Health Association, and works for Canada Post.